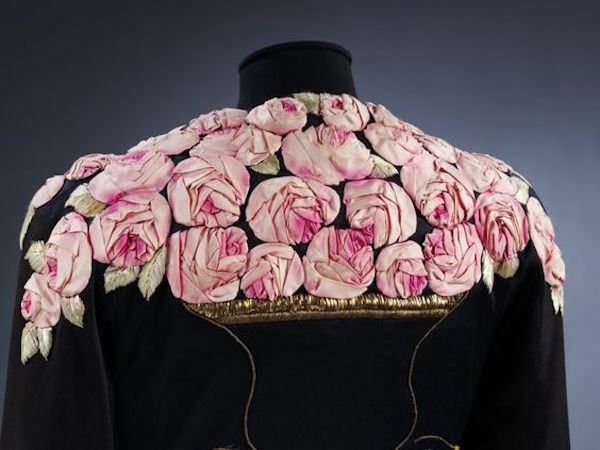 Elsa Schiaparelli was an Italian fashion designer born in 1890. Along with Coco Chanel, her greatest rival, she is regarded as one of the most prominent figures in fashion between the two World Wars. Starting with knitwear, Schiaparelli’s designs were heavily influenced by Surrealists like her collaborators Salvador Dalí and Jean Cocteau. Her clients included the heiress Daisy Fellowes and actress Mae West. 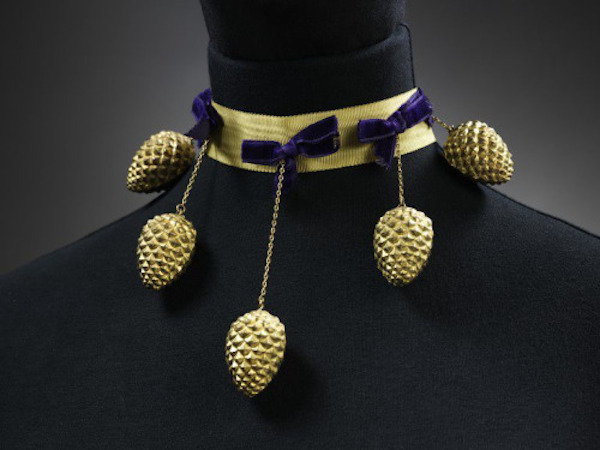 Schiaparelli’s design career was early on influenced by couturier Paul Poiret, who was renowned for jettisoning corseted, over-long dresses and promoting styles that enabled freedom of movement for the modern, elegant and sophisticated woman. 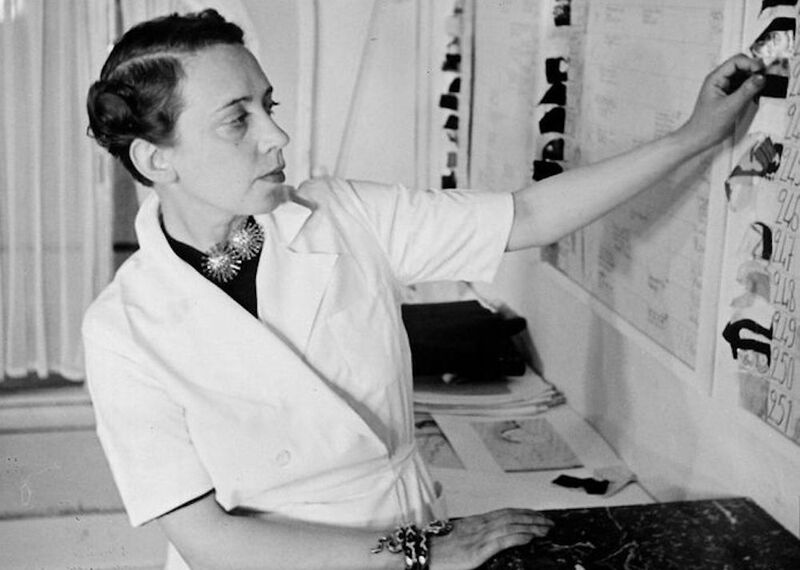 Schiaparelli had no training in the technical skills of pattern making and clothing construction. Her method of approach relied on both impulse of the moment and the serendipitous inspiration as the work progressed. She draped fabric directly on the body, sometimes using herself as the model. This technique followed the lead of Poiret who too had created garments by manipulating and draping. The results appeared uncontrived and wearable. 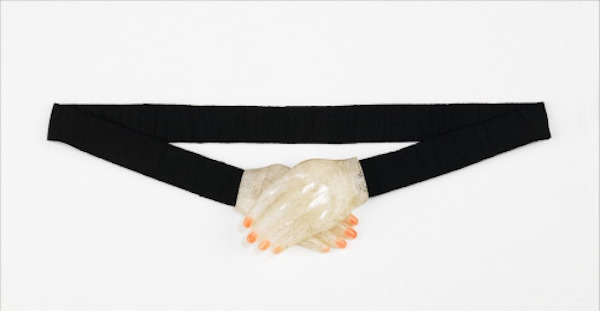 Whilst in Paris, Schiaparelli – “Schiap” to her friends – began making her own clothes. 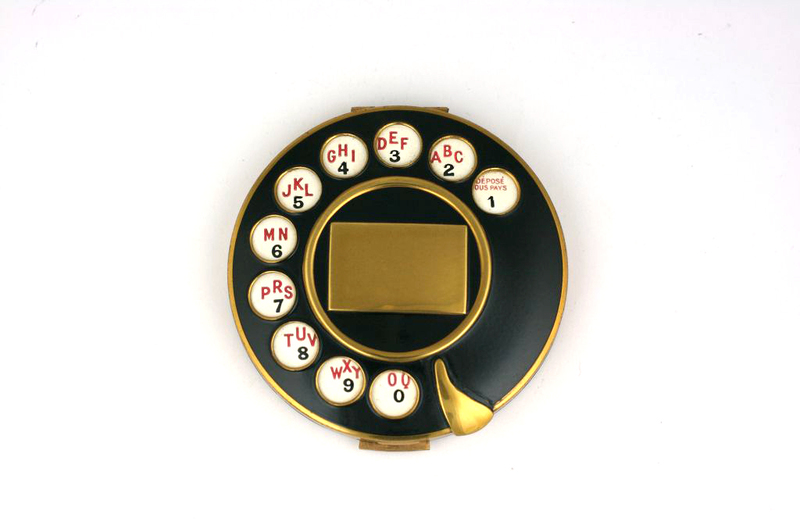 With encouragement from Poiret, she started her own business but it closed in 1926 despite favourable reviews. That did not stop her, however. In 1927 she launched a new collection of knitwear in early 1927 using a special double layered stitch created by Armenian refugees and featuring sweaters with surrealist trompe l’oeil images. Although her first designs appeared in Vogue, the business really took off with a pattern that gave the impression of a scarf. The “pour le Sport” collection expanded the following year to include bathing suits, ski-wear, and linen dresses. 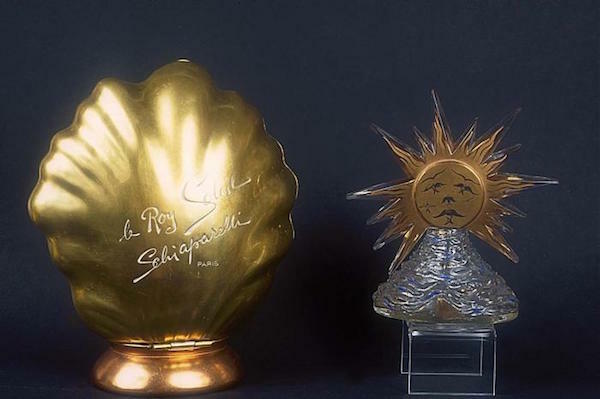 Schiaparelli added evening wear to her collections in 1931, using the luxury silks of Robert Perrier, and the business went from strength to strength, culminating in a move from Rue de la Paix to acquiring the renowned salon of Louise Chéruit at 21 Place Vendôme, which was rechristened the Schiap Shop. A darker tone was set when France declared war on Germany in 1939. Schiaparelli’s Spring 1940 collection featured “trench” brown and camouflage print taffetas. Soon after the fall of Paris on 14 June 1940, Schiaparelli sailed to New York for a lecture tour; apart from a few months in Paris in early 1941, she remained in New York City until the end of the war. On her return she found that fashions had changed, with Christian Dior’s “New Look” marking a rejection of pre-war fashion. 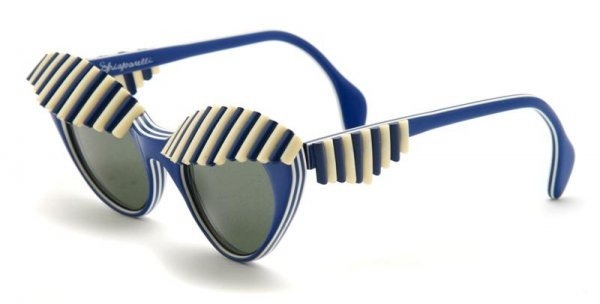 Despite these successes, an increasing number of licenses in the United States (she was the first to launch a line of designer sunglasses), and good sales for her perfumes, Elsa noted that the world of Haute-Couture had changed. She decided to close her Couture House in 1954 to devote herself to her autobiography Shocking Life. This does not take away her success, however, as most of her collections now live in museums all over the world. She lived the remainder of her days comfortably between her Paris apartment and house in Tunisia. She died at the age of 83. Below are some pictures of her apartment in Paris, her designs and collections that live She died in her sleep in 1973. Below are her rules for dressing along with some of her creations, designs and apartments she lived in and decorated while alive. 1. Since most women do not know themselves, they should try to do so. 3. Most women (and men) are colour-blind. They should ask for suggestions. 4. Remember, 20 percent of women have inferiority complexes, 70 percent have illusions. 8. They should never shop with another woman, who sometimes consciously, and often unconsciously, is apt to be jealous. 9. She should buy little and only of the best or the cheapest. 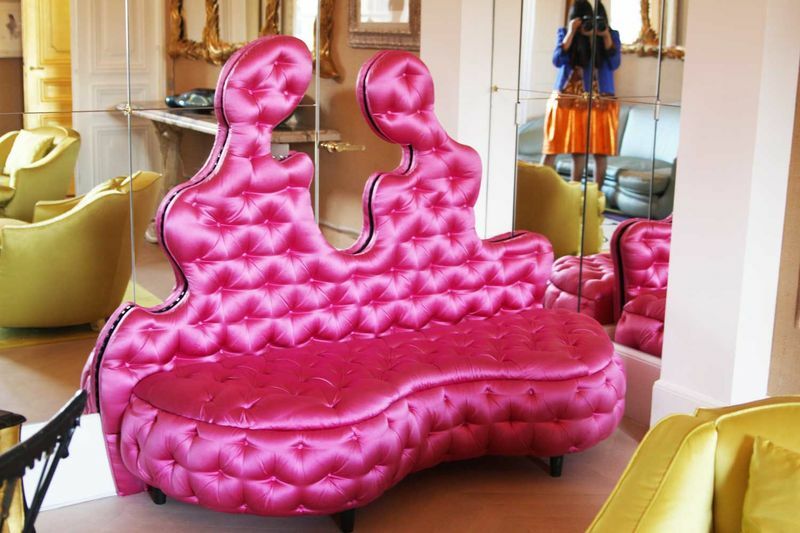 The beautiful house of Elsa Schiaparelli opens in Paris with the possibility to be visited.